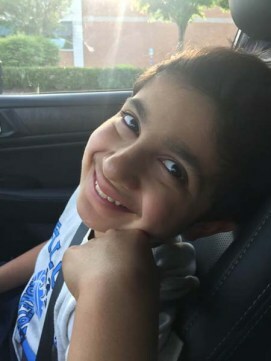 Gautam is nine. 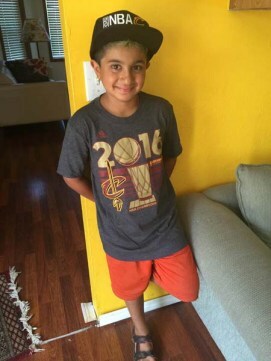 His favorite teams are the Seahawks and the Cavaliers, which are both a million times better than his older brother’s teams – the Spurs and the Broncos. 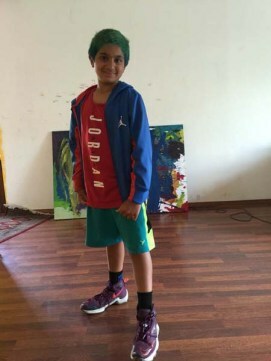 Gautam wants to be an NBA player when he grows up, and also study law. His favorite color is green. Gautam’s favorite TV show is Psych just like his older brother (It’s a company car, Shawn). Gautam’s favorite holiday is Christmas. He loves buying Christmas trees the most. His 9th birthday was on Super Bowl Sunday (Panthers vs. Broncos). He was rooting for the Panthers (of course). His birthday present was to find that his team lost 24-10. Chimera is the first movie he has ever been involved in. It was an experience that he enjoyed because he got to travel, stay in a hotel with a swimming pool, and meet his uncle, aunt and cousins. It involved a lot of waiting around , but he got to skip a day of school so it was totally worth it!